You could write the best APS Level 4 application that the world has ever seen, but if the job is for an APS Level 6 position, it isn’t going to get you anywhere. 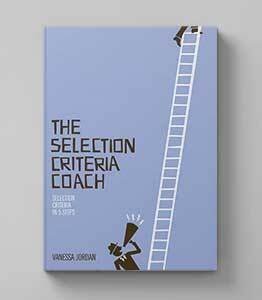 Pitching your selection criteria at the right level is as important as any other element of your selection criteria and it is also the thing that leads to the undoing of a lot of applicants. 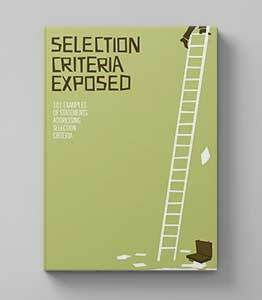 What does it mean to have your selection criteria pitched at the right level? The type of communication skills required for a Customer Service Officer versus a Chief Finance Officer for example will be very different. Firstly, a different level of complexity exists because these roles will be operating at significantly different levels in the hierarchy, and secondly, these roles will be communicating with different people, about different things, in different contexts and by different means. By pitching at the right level you will be addressing the needs of the job and connecting with the selection panel. How do you know if your evidence is pitched at the right level? 1. Assess the job description and position duties and make a match between what is required in the role and what you are discussing in your application. If you need more clarification about what specific skills are required in the role and the job description or duty statement aren’t giving you enough clues, call the contact officer and ask them. 2. Find out if there are any work level standards for the level of the position you are applying for. Most agencies have work level standards of their own, and the Australian Public Service (APS) has also published work level standards for each APS level. 3. Find out if there is a capability framework or any key performance indicators for the position. The APS’s Integrated Leadership System (www.apsc.gov.au/ils) is a good place to start for APS levels. If the position you’re applying for is non-APS, the contact officer for the vacancy will be your best resource.